TorGuard initially looks very commercial. The features are something you can definitely expect from a premium VPN service, but the commercial aspect is hard to ignore. Lots of things TorGuard practices attempt to squeeze money out of their customers. TorGuard boasts of their media coverage on their homepage, with outlets such as Forbes, Wired, and The Guardian displayed; an impressive array of media outlets, but is their performance up to scratch? We’re about to find out. Servers and Locations: Holy server selection, Batman! With a selection of more than 3000 servers in more than 50 countries around the world, TorGuard is one of the most versatile VPN providers we’ve seen. That’s a lot of coverage, so it shouldn’t be too hard to find a server that’s right for you. TorGuard isn’t the fastest VPN we ever tried; the speeds we got were usable and this was regardless of which server we used. After running our connection for a few hours with TorGuard activated, we also noted we didn’t experience any disconnections. It’s obvious that a larger VPN provider like TorGuard invests in people and technology, allowing them to keep their connections as stable as possible. Latency – The results we got were decent; most servers gave us ping speeds that were sub-300ms and a few servers gave us sub-100ms ping speeds. Impressive! Downloads – It’s hit or miss for a lot of VPN providers when it comes to downloading speeds; they offer a large server count yet speeds vary greatly from one server to another. Some servers perform better than others but that is not the case for TorGuard; we were able to hit decent download rates regardless. Uploads – We wish we could fawn over TorGuard’s upload speeds as much as its download speeds, but our expectations weren’t met. There were a few servers that could keep up, but we didn’t see the same level of consistency as with downloads. We TorGuard while traveling in East Asia, so we can also confirm that it works in Asia as well! Torrenting Policy: Yep, torrent away internet users! We’re pretty sure the “Tor” in TorGuard stands for torrents – don’t quote us on that. Still, it’s made clear that TorGuard is one VPN provider that’s not ashamed to say they support torrenting; a contrast to some more popular VPN services (We’re looking at you, TunnelBear!). One big benefit to note on the topic of torrenting is TorGuard’s compatibility with the most used torrent apps like uTorrent, Vuze, qBittorrent, and others. Sweet bonus! VPNs that have excellent torrenting support are not that easy to come by, which is why we have our list of the best VPNs for torrenting. Using Netflix on TorGuard is a different story, and not a good one. None of their servers that were included in the basic subscription gave us access geo-restricted material on Netflix; likewise, they indicate on the purchase page that none of their regular IP addresses will work. TorGuard is not an expensive VPN server per se, but we wouldn’t it call cheap either; to charge an extra $7.99 per month to gain access to Netflix and other streaming services just makes our heads spin. 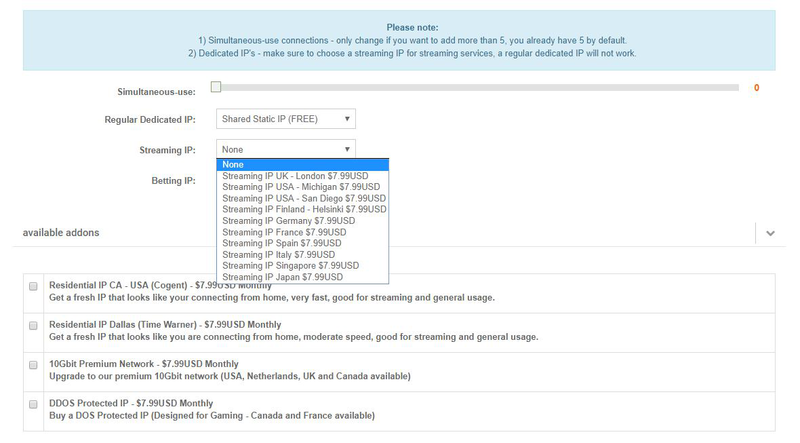 For the sake of this review, we gave the dedicated streaming IP a try; as expected, the dedicated IP works in unblocking geo-restrictions. Just so it’s clear, there are a few clear advantages of a dedicated IP; faster streaming speeds, constant access to streaming services and being able to watch shows on Netflix without restrictions. If you’re okay with spending a few extra bucks, that’s fine; for most users, this price point is a little too steep, and we certainly think so. The best VPNs for Netflix all include the ability to unblock the site on their basic plan and don’t charge an extra fee. Payment Options: How would you like to pay for that, sir/madam? There are a plethora of ways to pay for your TorGuard subscription; they accept most major credit cards, various cryptocurrencies (for anonymous payment), PayPal, and other payment options through Paymentwall and Paygarden. Disregarding the issues we encountered with TorGuard, they more than make up for them with amazing support. The customer service representative on the 24/7 live chat replied almost instantaneously with the answers that we needed; very very helpful indeed. There is no in-app support, but this is a minor issue and doesn’t detract from an otherwise stellar customer experience. As expected from a service that’s priced above what we would call a “budget VPN”, all the industry standards for security are deployed. The company has a strict no-logs policy. TorGuard uses 256-Bit AES encryption with SHA-512 alongside OpenVPN and other protocol configurations. This ensures maximum security since AES encryption is one of the strongest available and is even used by the military. We tested TorGuard for IP and DNS leaks and found none. As mentioned earlier, TorGuard is neither cheap nor expensive; their rates average as low as $4.99 a month for their basic package if you opt-in for a longer deal. TorGuard’s semi-annual plan seems to be the cheapest option at $4.99 a month; a great option for those who don’t fancy springing for a whole year. Most VPN providers only offer the cheapest rates on locked-in subscriptions ranging from 12 or more months, and TorGuard is no different. If you have the cash to spare and need more specific features, TorGuard offers a lot of add-ons to make your VPN experience more seamless; as mentioned, this will come at a price; dedicated IP addresses and Premium networks add $7.99 a month per addon to your bill. We’re not sure how well this marketing strategy is working for them, but users who looking for a more straightforward service might be turned off by the staggered pricing. We have a few reservations about TorGuard’s UI; those who know VPNs won’t have a problem, but those new to the VPN scene might find the menus a bit daunting. The guide on the TorGuard website that’s designed to show subscribers how to get started doesn’t give noobs much of a clue; there’s a lot of instructions to follow, and newcomers are likely to switch off quickly and look elsewhere. We tested TorGuard for Android and the only thing we can say is that those who are new to VPNs should consider other options. TorGuard is cross-platform compatible (Windows, Mac OS, Linux, iOS, and Android) and also has browser extensions for Firefox and Safari. 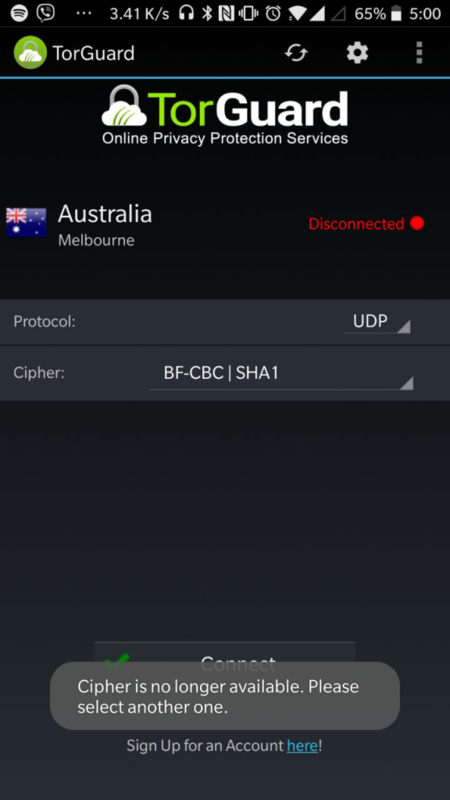 It’s nice knowing they know about boundaries – their Android app doesn’t require root access. TorGuard allows up to 5 devices connected at the same time, with a paid option to add more. If you know your way around configuring your router, they also have this option available! TorGuard offers a 7-day “free trial” but you have to purchase a subscription first and manually refund it if you’re not pleased with their service. 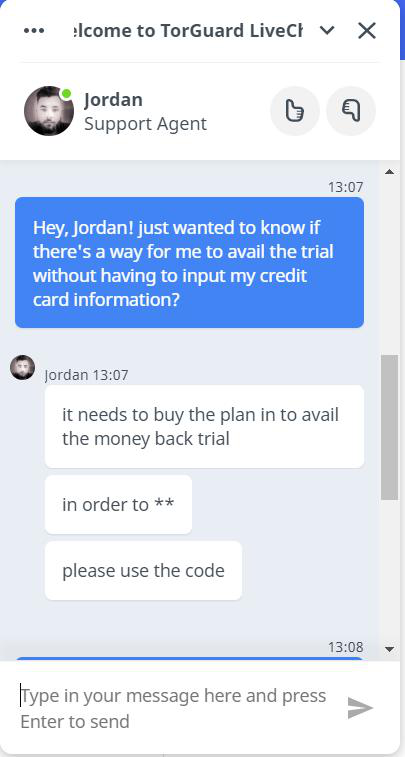 Despite having a 7-day trial, we immediately received a notification from our credit card provider that TorGuard had already charged us for the purchase. Founded in 2012, TorGuard operates under VPNetworks, LLC. TorGuard is based in the United States, a leading member of the Five Eyes Alliance. Meaning what, exactly? 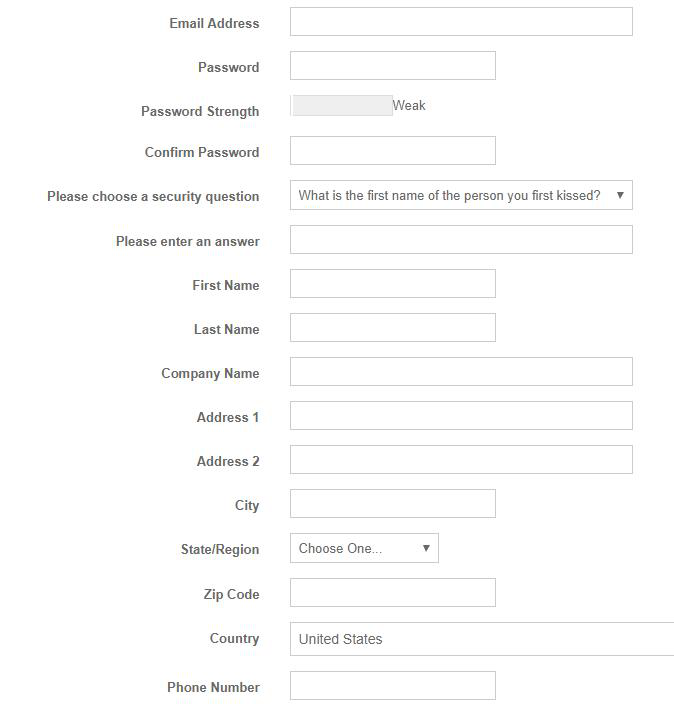 Well, the U.S. government can easily demand access to TorGuard’s customer data (and considering the amount of data they request upon signing up, that’s plenty of info), and they can even prevent TorGuard from letting end-users know it’s happening. We’re not saying it’s a certainty since many other 5/9/14-eyes based VPNs ensure they keep no data at all – meaning there’s nothing for governments to request; still, it’s risk users take signing up to a service based in one of these countries. If we were only to discuss download speeds, amazing support, and raw security capability, TorGuard is a definite strong contender in the VPN marketplace. Sadly, finding the best VPN service is not just about that; the amount of information that TorGuard asks and their jurisdiction within the U.S. poses as a concern for those who are seeking the most anonymity from their VPN provider. If you feel that nothing you do on the internet can be used against you, we can say that TorGuard does the job. They offer great performance and customer support. But if you are privacy-minded, take a different direction and start with our top 10 list.